LAS VEGAS, NV / ACCESSWIRE / December 20, 2018 / Luxoft Holding, Inc (NYSE: LXFT) and Rinspeed, Swiss powerhouse of future transportation, have partnered to create the 'microSNAP', an autonomous mobility concept vehicle for the shared economy as a World Premier at CES 2019. The new two-seater concept vehicle showcases how consumers can connect every aspect of their unique digital lifestyle for tomorrow's shared and autonomous mobility services. The vehicle fully integrates consumers' personalized digital lifestyles into the riding experience and provides occupants of the vehicle with their own personalized passenger economy and experience. By leveraging Luxoft's expertise in autonomous driving and ADAS, the 'microSNAP' allows visitors to glimpse the future of autonomous driving and how advanced vehicle intelligence will transform the riding experience. "We're thrilled to work with Rinspeed to help us present the future of shared mobility at CES. As the sharing industry continues to disrupt the automotive market, the concept of ownership is changing," said Alwin Bakkenes, Executive Vice President of Automotive at Luxoft. 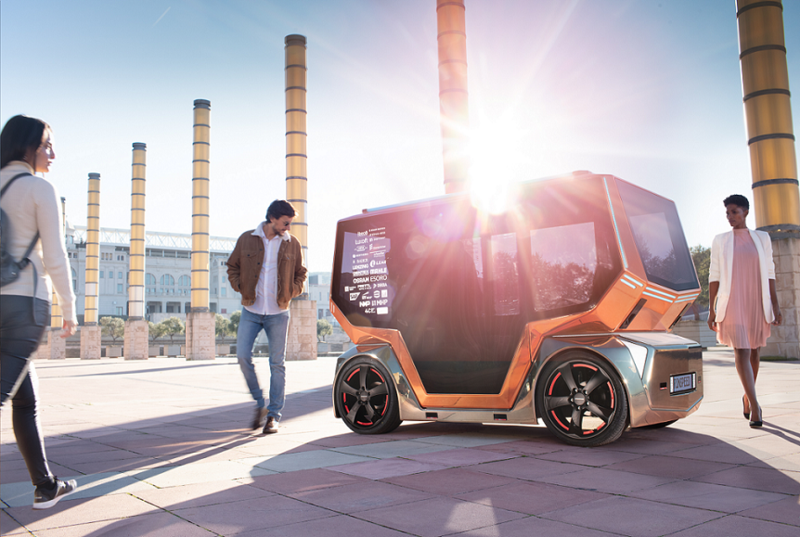 "The Rinspeed 'microSNAP' autonomous mobility concept vehicle shows how automakers and their suppliers can create tomorrow's intelligent shared and autonomous mobility solutions today." "The 'microSNAP' underlines once more our longtime philosophy of 'power of partnerships' to create sustainable, innovative and out-of-the-box mobility solutions for a better tomorrow" said Frank M. Rinderknecht, Company head at Rinspeed. "These partnerships cover all relevant facets of a future vehicle ranging from materials, technologies to services and - last but not least - the comprehensive eco-system as the backbone of this unique and exciting vision". Together with its strategic partners, Luxoft and Rinspeed will showcase a new riding experience that addresses current and future autonomous, digital cockpit and usability trends which see consumers using throughout their daily life. Please visit our website or email Press@luxoft.com for more information. Luxoft has approximately 12,900 employees across 42 offices in 22 countries within five continents, with its operating headquarters office in Zug, Switzerland. For more information, please visit www.luxoft.com.